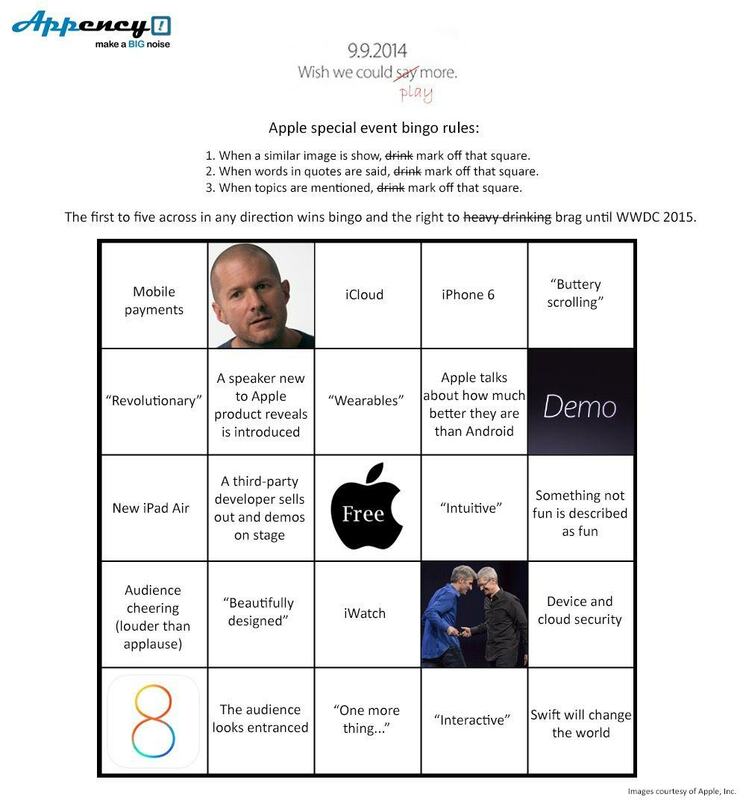 Get your Apple keynote bingo cards! We’re in a frenzy of anticipation about Apple’s September 9 event. Just like you, we’re expecting big and bigger iPhones, the iWatch and something to take the stage of that immense box Apple has constructed outside the Flint Center auditorium. As we tweet, liveblog and take you hands-on with new products from what may be the most important Apple event in years, you can play along with this awesome set of free bingo cards, courtesy mobile PR firm Appency. Based on years of Apple keynote watching, they’ve come up with a set of six bingo cards you can download here. 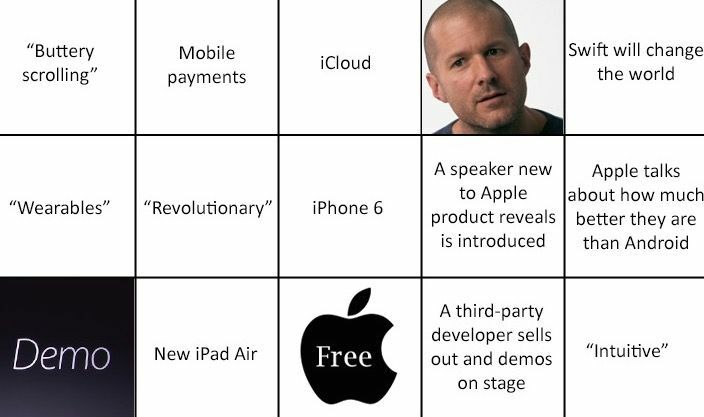 What’s on these Apple-centric bingo cards? Any time there are mentions of iCloud, the word “revolutionary,” an appearance on stage by star designer Jony Ive or the audience looks “entranced” you place a chip on the board. You win the game – and bragging rights until World Wide Developer’s Conference 2015 – with any five of them in a row. Sadly, there is not a square for the inevitable remark about Craig Federighi’s coiffure or the corny jokes, but you can always place those in a “free” spot marked with the Apple logo. The big day starts 10 a.m. PST; you can catch it live. If your time zone (or your constitution) is amenable, you could always turn it into a drinking game, swigging shot for each correct answer. Then no matter what comes out of the box, you’ll be elated.